Meta Tagger is a fantastic app that places an online shop owner to enjoy prominence and visibility by the unique search engine optimization with which his shop can be at the forefront of visibility to the online visitors. 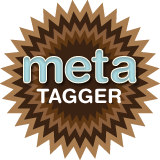 Meta Tagger is an interwoven app platform that automatically creates metadata from any text-based content. Based on the information of categorizing content, extracted keywords and automatically-generated short information, metadata takes shape. This app makes it easy to manage keywords, descriptions and SEO titles. Usually it handles SEO through content-pulling from one’s existing resource descriptions. It is compatible with Google Shopping Support app, and provides import/export for one’s SEO in bulk amount. Arranging everything necessary, it impacts on products, collections, pages and blogs , the factors subject to be carefully crafted to hold the attention of shoppers. As an online store owner one has much to get from this app tool. Managing SEO for a website is a critical job and in most cases, instead of improving online status, SEO professionals end up in damaging even the existing strength of the site. With this app, one can safely but effectively shape his search engine optimization with most updated process. One needs to bear a monthly expense of $6.00 for Meat Tagger app. With the help of this App, successfully executing the easy process, and ensures greater visibility any shop to more visitors who can be turned into potential customers, resulting in increased sales and thereby, more amount of profit.